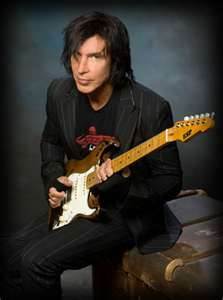 Music Is My Drug Of Choice: George Lynch Talks T & N, Dokken and The Term "Guitar God"
George Lynch Talks T & N, Dokken and The Term "Guitar God"
There were many teenagers who stood alone in their rooms with posters of their metal heroes plastered to their walls. Their bedrooms became large concert halls and it was time to hit the stage. As the pops and cracks of the vinyl began to resonating from the speakers, many of us picked up a tennis racket and began to emulate our favorite guitar heroes. George Lynch was definitely one of those guys who inspired a legion of worshippers. George Lynch was the total package. He had the hair, he clothes, the attitude and most of all; the guy was a beast on the guitar. He rose to fame in Dokken who were all over MTV in the 80s. There were internal conflicts in Dokken and the band parted ways with George pursuing other projects. He did reunite with the band in 1994 and recorded a new studio album entitled Dysfunctional, but the reunion was short lived. George was again out of Dokken come 1997 focused on his solo career with Lynch Mob and it seemed that a Dokken reunion would never happen again. Fans of 80s metal have had a full blown Dokken reunion on their wish lists for years now and in 2010 , it seemed as if it might happen. The internet was a blaze with rumors and there was some talk of it, but it fizzled out quickly. Fast forward to 2012 and Lynch Mob were in the middle of recording a new album when lead singer Oni Logan just wasn’t “feeling” the new material that was being recorded, so it was shelved. 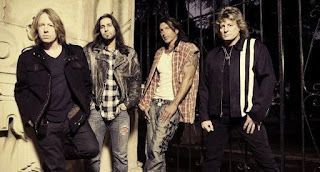 Then, Lynch Mob drummer Brian Tichy suggested that Lynch record some new material with Jeff Pilson and Mick Brown, his former band mates from Dokken. “Brian’s always coming up with these great ideas. I love to get together with him and have these giant brain storming sessions. His ideas are awesome. He’s the one who came up with the name Tooth and Nail, which later got shortened to T & N. I think he needs to start a rock and roll idea company and just sit around all day and brainstorm,” replied Lynch. Jeff Pilson was already in the Lynch camp as he helped write some of the shelved material for the new album. Drummer Mick Brown came in and the chemistry was, as always, off the charts. That chemistry and Brian’s suggestion were the catalysts of a new band called Tooth and Nail. There were some legal issues with a record label of the same name, so the guys changed it to T & N and began work on a new studio album. Along with brand new material, the guys decided to re-visit old Dokken classic and re-record them. They also decided to bring in guest vocalists for the new versions. Lynch’s former Lynch Mob band mate and current Warrant lead singer Robert mason was brought in to lay down his vocals for “It’s Not Love” and King’s X singer Doug Pinnick covered “Tooth and Nail”. The big buzz created online was having one of the most recognizable voices of the 80s cover the power ballad “Alone Again”. Sebastian Bach of Skid Row fame definitely did the song justice and then some. There’s already a second T & N album in the works that will feature more re-recordings of Dokken classics and more guest vocalists. “We just re-recorded “Just Got Lucky” and it sounds amazing. We’re doing something a little different on the vocals this time because we brought in Sass Jordan to sing it. It’s totally different because it has this rock/country element to it. Sass has this grittiness to her voice. It almost has this (Janis) Joplin feel to it. I think that one is going to blow a lot of people away.” With all this talk of re-recording Dokken classics, was Don (Dokken) ever considered to lay down vocals for any of them? George Lynch is definitely not a one trick pony. In between the documentary, his band Lynch Mob and the new T & N, he is also working on a project with Doug Pinnick of Kings X and Ray Luzier of Korn. They’re writing together until the end of the year and will start recording early next year. Lynch jokingly referred to the band as KornXMob. He also has his own custom guitar line, appropriately named Mr. Scary Guitars, that are designed, carved and crafted by Lynch himself. These things are awesome and you have to check them out at www.mrscaryguitars.com. George has quite a lot going on this year and that will just transition into an even bigger and better 2013. A killer new T & N album and a second on the horizon, plus the plan to take it on the road have fans anxious. All of this new material makes it a great time to be a fan of Lynch. This guy is such a versatile talent that you never know what he will be up to next. Stay tuned to Music Is My Drug of Choice as we will definitely keep you up to date with all the info!